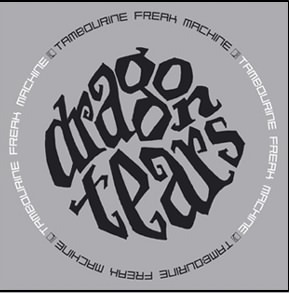 For those who don’t know Dragon Tears is a side project of Lorenzo (Baby Woodrose, On Trial) and features all the members of Baby Woodrose plus former and ex-guitarists from On Trial (Aron, Hobbiten). This is the follow up to the debut, 2000 Micrograms from Home. The music is very much in the same style as the first record and also features an amazing cover of Dylan’s Masters of War. I was pretty blown away by this track. Anyway, the CD opens up with the 10 minute, The River. This sets the tone and flavour for the record and is a long spacey, psychedelic track that at times reminds me of a different take on the old On Trial track, Blood Butterfly (the beginning part). Sunrise is a really rockin’ psych track and a good choice for the single. The Freedom Seed is 15 minutes long and a really interesting far out track with a repetitive theme. It also features the Alive with Worms vocalist. Rocco’s Revenge is a short piece under 2 minutes of spaced out sounds that leads into the last track, Dreamweaver and this features Guf’s late 60’s drum machine and is one of the coolest tracks on the album. Pretty amazing stuff once again. One complaint is the really lame artwork. For a psychedelic rock record and digipack CD, this is so simple and boring and cheap. Pity someone did not want to put more than 10 minutes into making this. Anyway... it is about the music, and that is what you really pay for and those with MP3s that will be stealing this won’t ever see the artwork anyway.